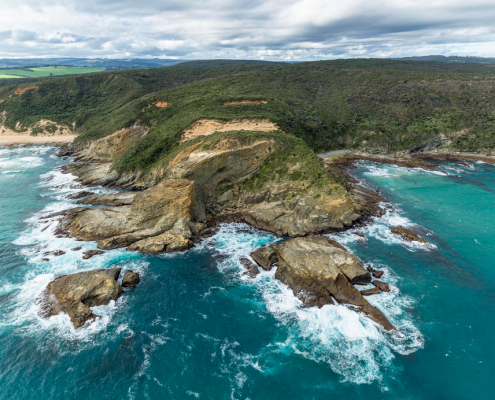 Moonlight Head is not on your usual tourists’ itinerary and that’s good news for everyone that does go a little out of their way to experience this majestic area. 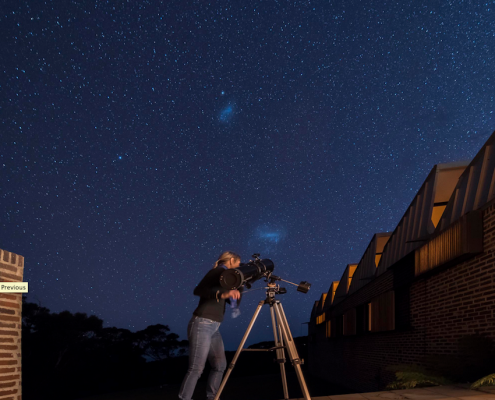 Travel about 15 kilometres past Lavers Hill in the direction of the 12 Apostles and you’ll see the turn off for Moonlight Head Road. Follow this for about 10 minutes along an unsealed road until you come to the car park. All it is now is a short stroll to the lookout. 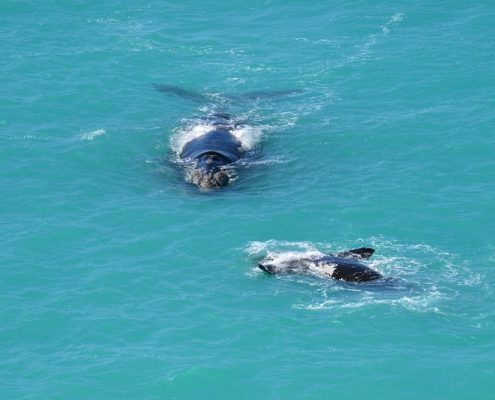 The Lookout platform here offers brilliant, 180 degree panoramic views of the majestic Southern Ocean. While you are in this vicinity and if you have the time you should head down to Wreck beach. 400 steps will get you there and you’ll be rewarded with an empty beach where your footprints will most probably be the only ones in the sand. 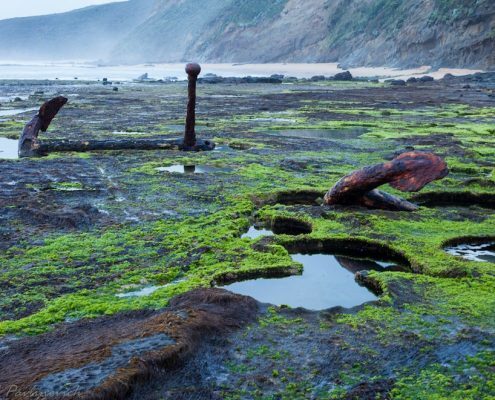 You’ll find a couple of anchors on this beach from two unfortunate ships which came to grief on the nearby reefs. Please be aware that you can only get to these anchors on low tide. 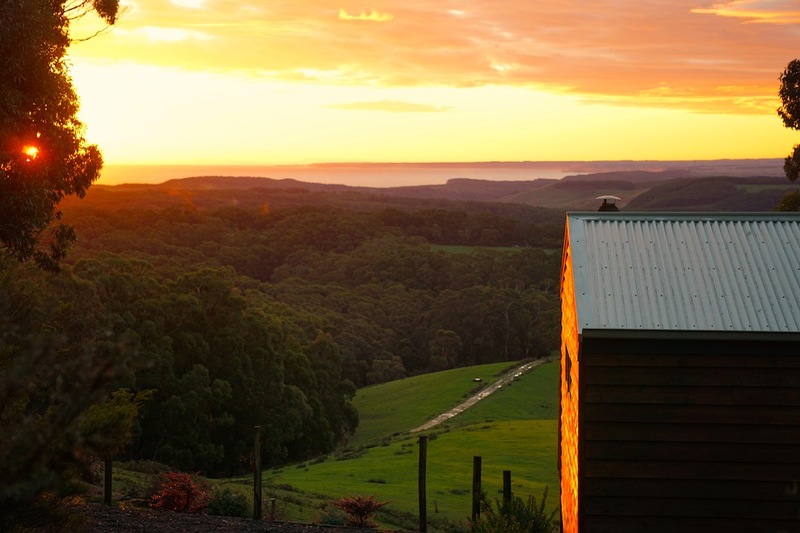 Alkina Lodge is top end and exclusive accommodation hidden away in the privacy of Moonlight Head. Three luxurious lodges each with four bedrooms are available; the master bedroom of each having gorgeous sea views. Friendly kangaroos will drop in. 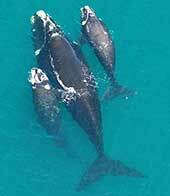 Southern Anchorage offers family or couples’ cottages through to reasonably priced, comfortable suites. 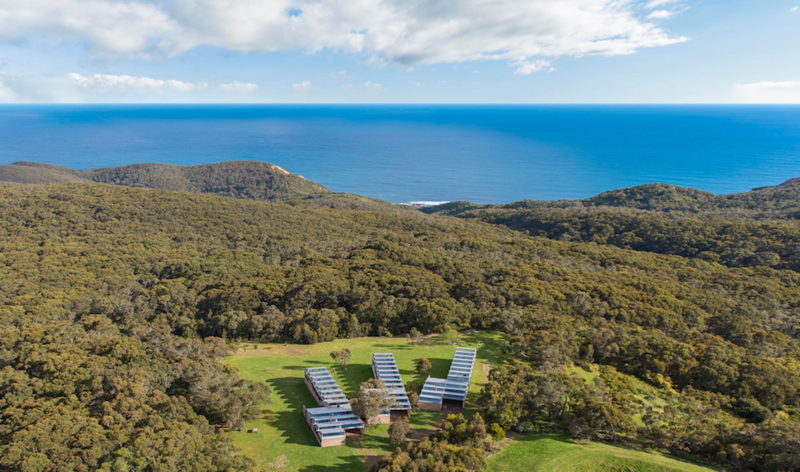 Situated at spectacular Moonlight Head, the retreat is only one kilometre from both the Great Ocean Walk & the Great Ocean Road. 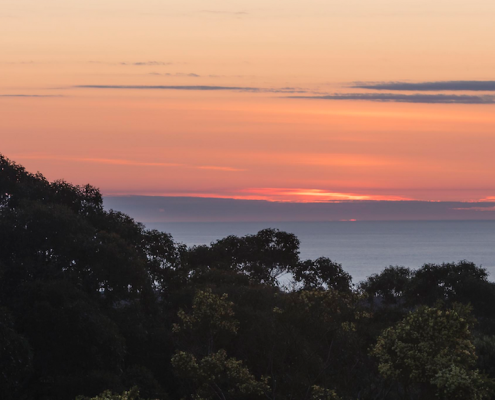 The views are simply spectacular consisting of bushland & coast, including views of the sandstone cliffs towards the 12 Apostles. 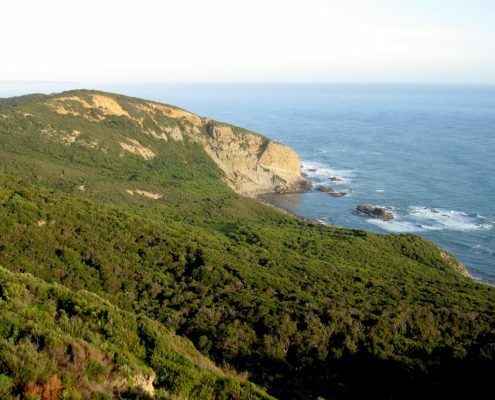 Based towards the end of the Great Ocean Walk, Southern Anchorage can arrange meals & transfers for walkers as part of their accommodation packages and are the preferred option for several of the local trekking companies offering packages on the Great Ocean Walk. Singles & small groups are very welcome. 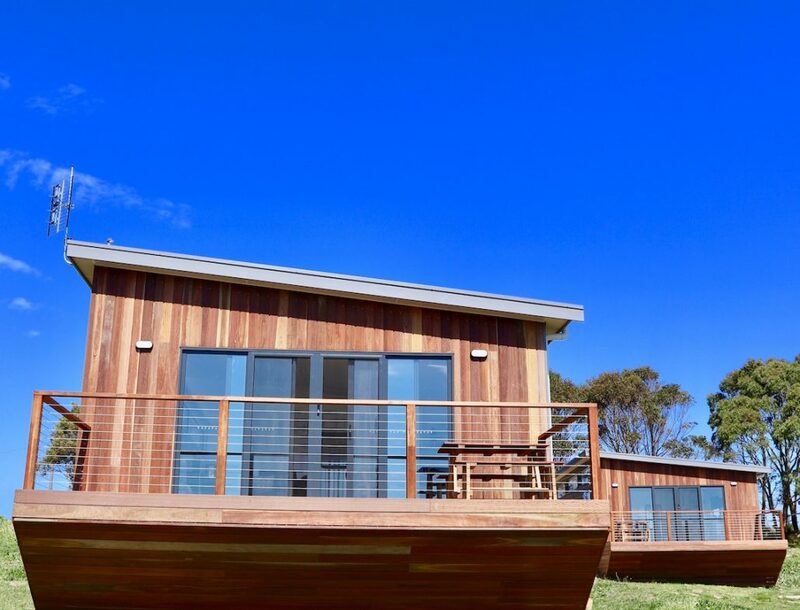 By Moonlight, located at Moonlight Head just off Victoria’s Great Ocean Road, offers guests contemporary accommodation in one of this region’s most spectacular locations. 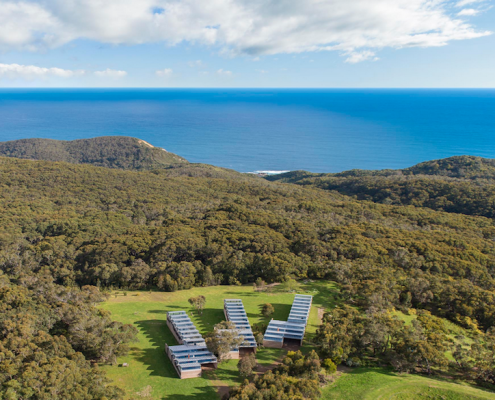 Set on the headland of one of Australia’s highest coastal cliffs, By Moonlight is surrounded by the might of the Great Southern Ocean and the lush of the Otway Ranges. 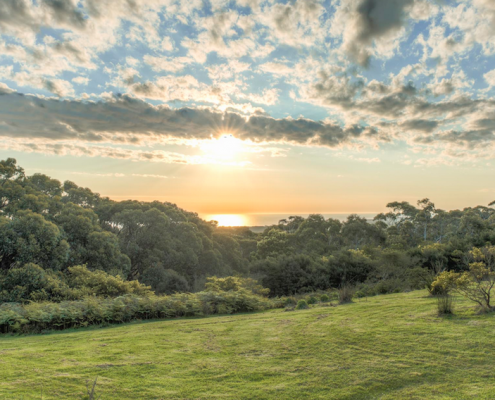 The property offers breathtaking views of the 12 Apostles where Australian wildlife roams free. 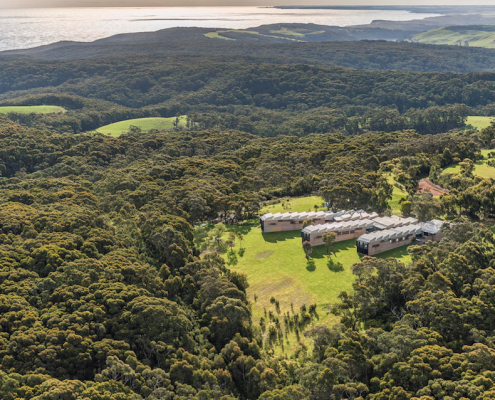 Two bedrooms, fully self-contained and sensational views.